Courtney Dauwalter has been winning ultramarathons left and right for 3+ years, often outright, beating not only the women, but also the men. 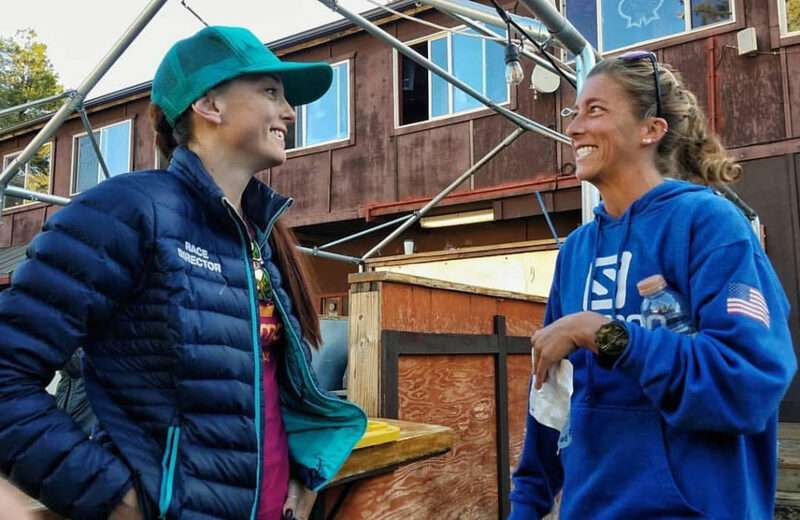 Candice Burt, host of Humans of Ultrarunning, sits down with Courtney to discuss her demons, how/why she can go so deep and race for so long and hard, her training, how she recovers and injuries (why she is never injured, knock in wood), diet, FKTs, Barkley, this year’s races including Bigs Backyard and the Tahoe 200 and what she is planning for 2019! 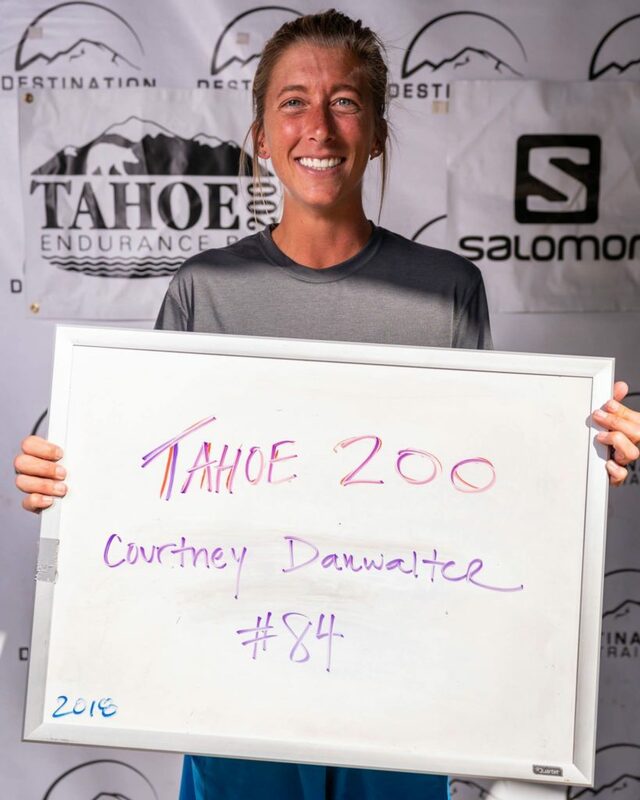 See Courtney’s Ultrasignup Race Results here. I’ve only been running for less than 3 years but managed to complete (2) 50k this year (after losing more than 100 pounds)… I’m so inspired by seeing Courtney’s triumphs and Candice’s hard work that I’m toying with the idea of upping the ante to a 50 miler or 100k before the end of 2019. Wow, you are amazing! Thank you for sharing. You got this!!! Glad to know it’s not my diet holding me back! Ha!! That was a fun interview. Good luck going forward to you both. Love this interview with Courtney. Nice job digging into the details. Just amazes me that somebody so talented has such an unstructured training schedule, but love the fact she just listens to her body on what to do. Great first podcast – Can’t wait to hear more! An amazing podcast Candice. You are a natural. Have read articles on Courtney Dauwalter, but so delightful to listen to this interview. She is such a down to earth runner. So amazed she continues to do these massive races and remain injury free. So incredible to hear her talk about Bigs Backyard several times. The ice castle hallucination, sleep running on the road section at night, the rock garden fall and so much more. At times a very relaxing enjoyable listen, even hearing Beatrice in the background. Other times I was on edge as you described the runner hallucinating at Moab. Thank you! You are awesome Carl! Thanks for this! So cool to hear these stories, so glad you took the time to feature these people. Great first Podcast Candice! Looking forward to more! Candice what a great host you are, fun and smart! Great interview. It’s so cool to learn about how legendary athletes think and perform their craft. On a side note, it felt like two legends sharing back and forth. Candice, you’re a different player in the Ultra world than Courtney, but your impact is as great as anyone’s at this point. I appreciate both of you a ton. I am so motivated to keep at my goals after listening to this podcast. I’m 2 1/2 years removed from a heart attack and am fully into running now. These are the inspirational stories that motivate me to make my own! Thank you for all you do.